Item Number: Deco Marble Fireplace Category: Limestone / Marble. The Deco marble fireplace is shown here with the Evonic Kepler electric fire. This is a modern style fireplace with stepped design inspired by Art Deco design. Available in a choice of marble or limestone including the Polar White marble as seen in image. Visit our Glasgow fireplace showroom to see this design on display and discuss your requirements. 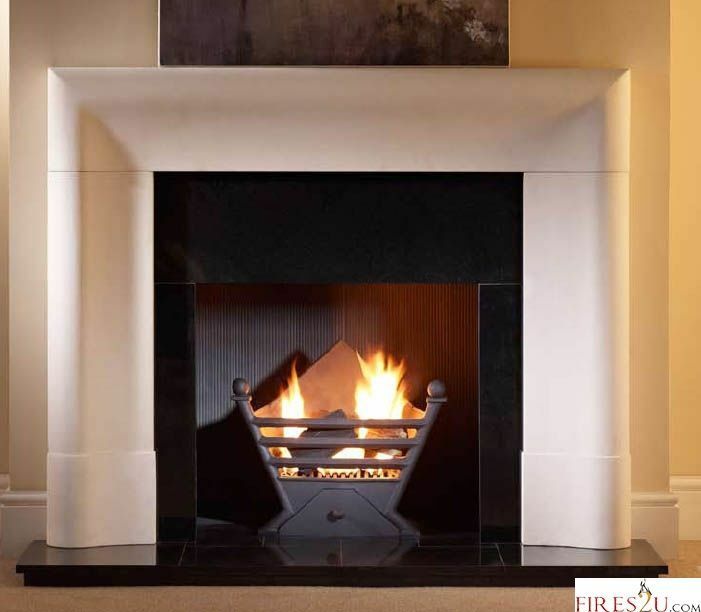 Tags: Deco style fireplace Glasgow, Marble fireplaces Ayr, Marble fireplaces Hamilton, White marble fireplaces Glasgow. The Deco marble fireplace is shown here with the Evonic Kepler electric fire. This is a modern style fireplace with stepped design inspired by Art Deco design. Available in a choice of marble or limestone including the Polar White marble as seen in image. We can tailor the dimensions of this fireplace to suit your requirements and it is suitable for use with gas or electric fires. 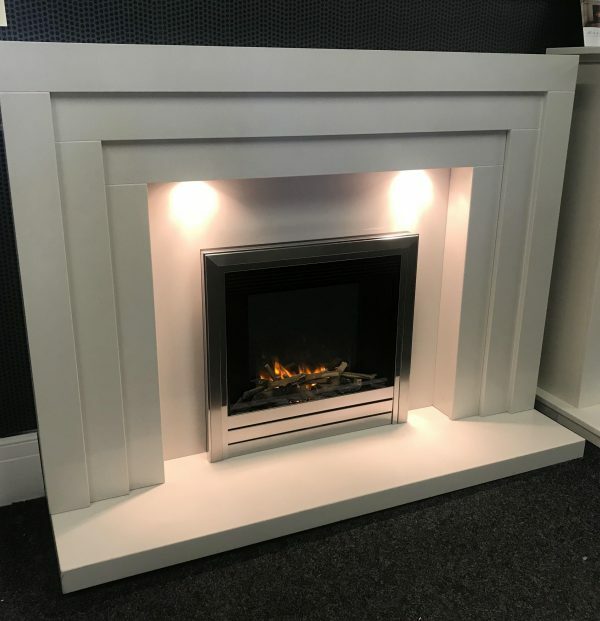 Visit our Glasgow fireplace showroom to see this design on display and discuss your requirements.